The Barton Springs Conservancy is raising funds for the Barton Springs Bathhouse Rehabilitation Project which will include donor recognition plates for major donors who help restore the historical and architectural treasure that serves as a community gathering spot in Zilker Park for all types of healthy recreation and that connects us to our past, literally gathering us together as a community and helping tell the story of our environmental, cultural and historical values. Originally built in 1947, the historic Bathhouse has served millions of park goers and swimmers over the past 70+ years and is in desperate need of repair and renovation. 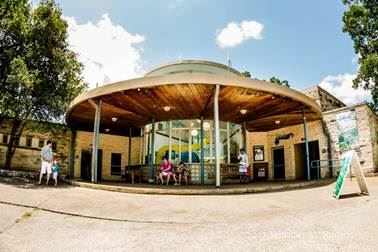 The Conservancy plans to rehabilitate the Historic Barton Springs Bathhouse to its original splendor, restore the rotunda and dressing areas, and make the facilities usable for modern needs. The rehabilitated Bathhouse will also be infused with environmental education and learning opportunities to the visiting public about the endangered Barton Springs Salamander, water quality, conservation, and related environmental concerns as called for by the Barton Springs Pool Habitat Conservation Plan to educate the public and build community support for conservation measures for Barton Springs and the Barton Springs segment of the Edwards Aquifer. The Bathhouse Rehabilitation project has been approved by the Austin City Council and partially funded by the 2012 Bond Package and the design work for the project is underway. The Barton Springs Conservancy is committed to raising the additional required funds to complete the project. 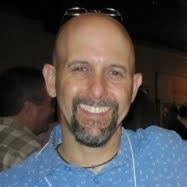 Mike Cannatti is a "nearly native Austinite" patent attorney and partner with Terrile, Cannatti & Chambers, LLP who has been actively involved with Barton Springs Pool and neighborhood planning through board service a number of community organizations and boards. 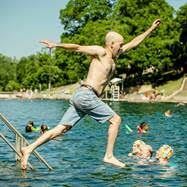 As founder and president of the Barton Springs Conservancy, Mike works with key Barton Springs stakeholders to identify and support projects to honor, preserve and enhance the Barton Springs Experience. Initial efforts focused on establishing fundraising capacity and providing community input to complete the Barton Springs Bathhouse Rehabilitation project.